Emma Collins gives a general introduction to Content Based Image Retrieval. 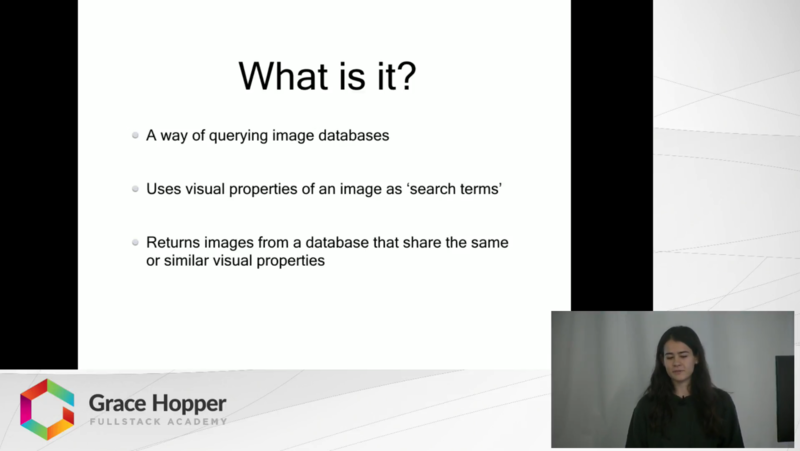 She highlights the visual elements that are commonly extracted from images and used for querying and introduces the process by which a computer 'sees' an image. She discusses CBIR's gains in efficiency and precision when compared to Text Based Image Retrieval, and cites applications of CBIR in pathology, historical research and law enforcement.